Relax in this hidden jewel amongst stunning scenery where rolling hills embrace the visitor as every turn reveals a new panorama. The River Spey is one of the finest salmon rivers in Scotland. It flows one hundred miles from the mountains in the west to the Moray Firth coast. 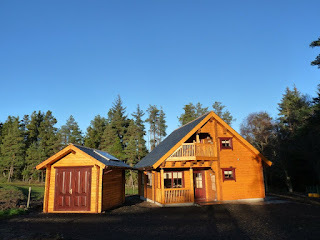 The famous Speyside whisky distilleries are found throughout it's length. This beautiful log cabin is in a great location for summer and winter holidays. If you prefer to be more active there are plenty of attractions in the area! Visit the nearby towns or the exciting Moray coast with it's quaint villages and fantastic beaches or alternatively The Cairngorm National Park & The Malt Whisky Trail is nearby. There is so much to see and do here or simply sit back on the balcony and enjoy the peace and quiet. 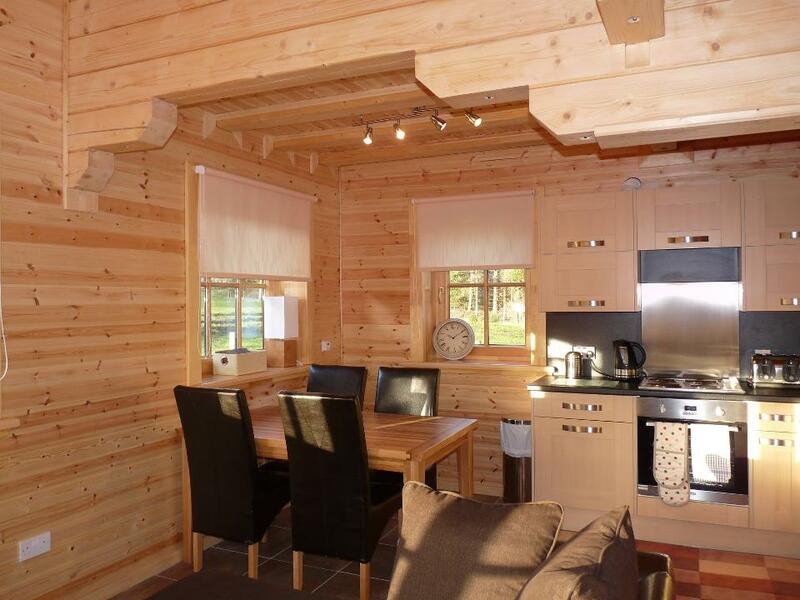 There are plenty of wide open spaces for children to roam and this newly built log cabin is set amid beautiful scenery and spectacular wildlife. Look out for the red squirrels in the trees outside!